Unfortunately, my aunt’s misconception is a very common phenomenon. We are lured by modern medicine and pharmaceutical companies to believe that pills that will get our numbers under control (blood pressure, blood sugar, cholesterol, etc.) will rid us of our diseases. In reality, these medications at best manage our diseases and more commonly give us a false sense of security that not only doesn’t cure us, but often gets us into trouble. Turns out my aunt didn’t have high cholesterol either even though she was on cholesterol lowering medication. This same aunt suffered a heart attack a year later, almost died, and couldn’t understand where it came from seeing as she considered herself disease free and all of her “numbers” were under control. I tend to be a visual person and used this analogy when explaining to my aunt what went wrong for her. Imagine your blood vessels are pipes that should have blood, the consistency of water, flowing through them. Every time you eat fast foods, junk foods, fatty foods and these need to travel through the pipes you get greasy, fatty, thick liquid attempting to flow through. But this fluid cannot move as smoothly or as quickly. So, instead you get sluggish, slow moving blood that sticks to and plugs up the pipes. 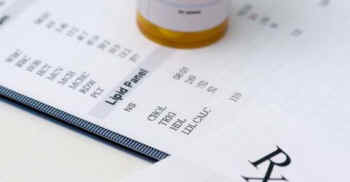 Medications, like a plumber, can come in and open the pipes but this is only a temporary fix. As long as you continue to eat those foods, you will continue to destroy the pipes no matter what or how much medication you are on. So, what is the answer here – change the foods that you eat so that you preserve your pipes and the blood that runs through them. How? By choosing the most health promoting foods available to you – fruits, vegetables, whole grains and legumes. Use these as base ingredients for your favorite dishes – mashed potatoes, burgers, pizza, lasagnas, sandwiches, burritos, desserts, and more. This year, choose healthy, choose vibrant, choose truly disease free! Make the commitment to try something new. Resources to help include nutritionstudies.org, forksoverknives.com, pcrm.org, and drmcdougall.com. Set realistic goals – What took years to develop may take some time to reverse. Aim for short-term as well as long-term goals. For example if you want to lose 30 pounds in a year, shoot for about 3 pounds in a month which would be about a pound every 10 days. Allow for imperfection – Challenges are bound to come up. Use them as opportunities for learning rather than as roadblocks. Reward success, both long-term and short-term – Making a change is not easy, so treat your-self to a job well done! Dr. Alona Pude is a board-certified practitioner of Acupuncture and Oriental Medicine and Family Medicine Physician specializing in nutrition and lifestyle medicine. Dr. Pulde is lead author of the books, Keep It Simple, Keep It Whole: Your Guide to Optimum Health and The Forks Over Knives Plan – A 4-week Meal by Meal Makeover. She also developed the Lifestyle Change Program used for patients in the film “Forks Over Knives,” as well as in her clinic, Exsalus Health & Wellness Center.